President Emmerson Mnangagwa has lived up to his word of promoting the Buy Zimbabwe initiative and on his first foreign assignment to South Africa on Thursday, he chose to use a locally owned private airline, Fly Africa. Fly Africa is the only locally owned airline outside Air Zimbabwe which is owned by Government. 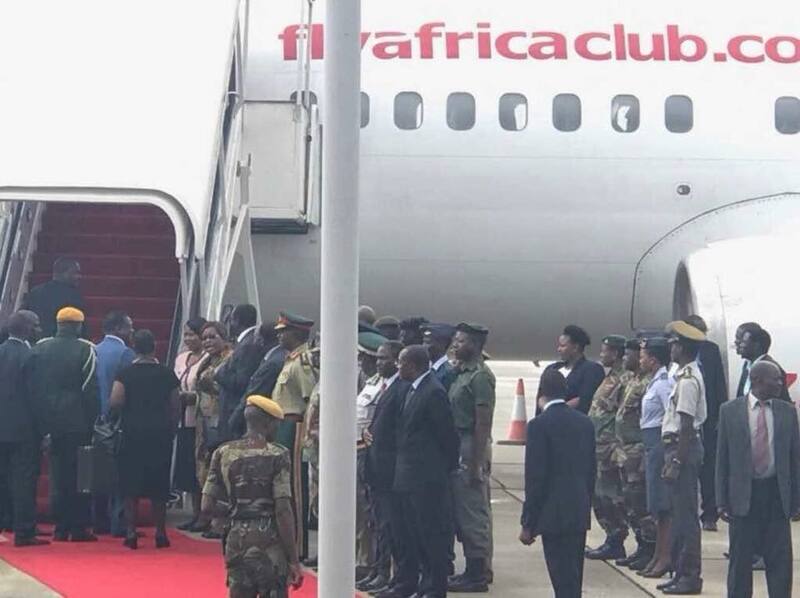 In line with this objective, President Mnangagwa walked the talk by using Fly Africa which is a low cost airline wholly owned by locals. Fly Africa executive chairman Mr Cassidy Mugwagwa applauded the move by President Mnangagwa saying it would help to grow the local industry. He said the confidence that President Mnangagwa had expressed in their brand as Zimbabwe’s First Citizen was a seal of approval and a huge milestone in the aviation industry. “It is an inspirational moment that one will never forget,” he said. “The President has raised the bar and we will strive for greater heights because in our view, this is a seal of approval from the highest office. When the President talks about Buy Zimbabwe, some think it is mere talk but with this development, it is clear that he practices what he preaches to the nation. Mr Mugwagwa said their objective at Fly Africa was to become Zimbabwe’s most favoured mega brand in the aviation sector in the shortest possible time. “We have been carrying people since August and now we carried our President and this is no mean achievement by any measure. We are hoping to land on our maiden Johannesburg trip on or before January 15, 2018. What has been keeping us is the reservation system linked into the security system, which is the advanced passenger processing system which is linked to the department of Home Affairs in South Africa and our own security agencies here. All those systems are now up and our website will also be running by the second week of January, 2018 where passengers can book and buy tickets online,” he said.